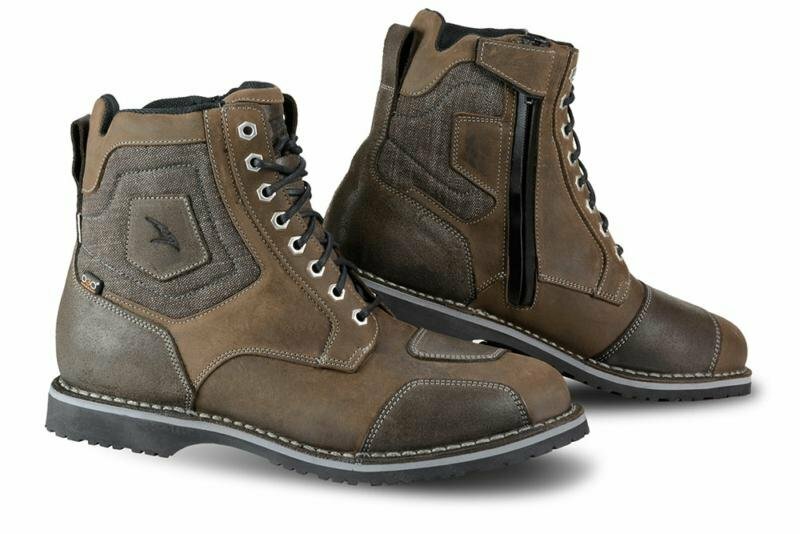 The Falco Ranger Boots are an Italian-made pair of motorcycle boots that are rocking a full-grain leather which has been oil-treated in order to improve durability during harsh riding sessions. D30 soft armour helps to provide ankle protection and there is even a zip closure located on the inside of the ankle. An industry standard High-Tex waterproof membrane ensures your feet will stay nice and dry even during the wettest days. It's the perfect pair of motorcycle boots if you are looking to stay safe and stylish whilst riding on the open road.